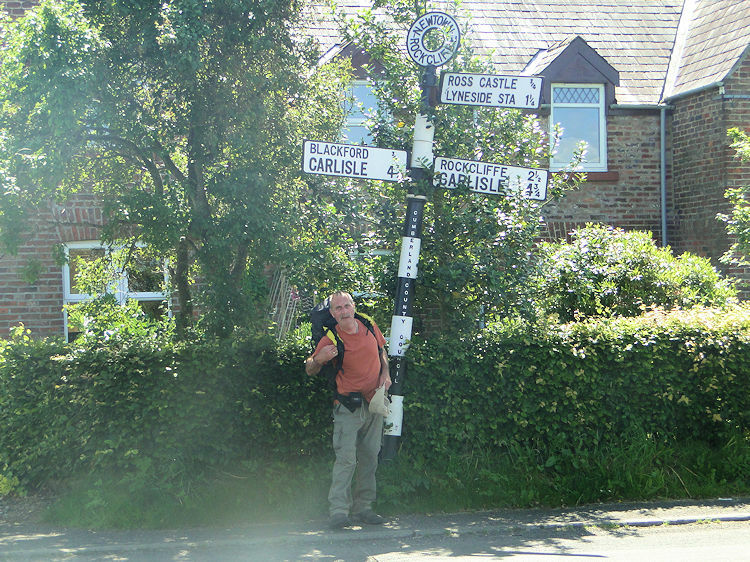 This was the last of the three stages of the walk linking the point at which I left the Scottish Southern Uplands to the beginning of The Cumbria Way in the city of Carlisle. The intended route of following the Cumbria Coastal Way into Carlisle did not happen though. A missing bridge scuppered the plan. Instead I improvised to follow countryside trails and then a Roman road to the major city in Cumbria. Tuesday 28th June 2011 was a gorgeous day. The sun was at its highest in the summer sky and beamed down from above to warm Strolling Steve and I all day long. We may well have started to get our seasonal tans. As for the walk we never got lost on this flat stage even though we definitely did get led astray. And it had started so well. 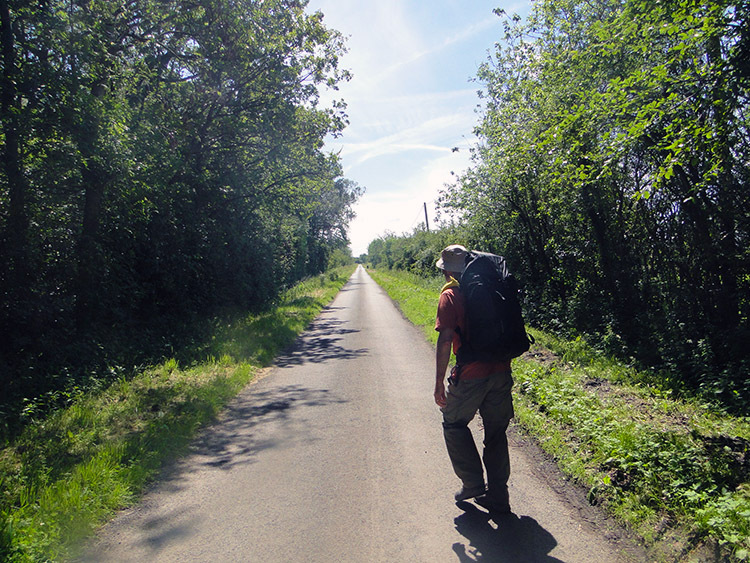 We were in really good spirits as we walked out of Longtown on a B road leading us south on a line as straight as an arrow. We had enjoyed a good meal in the Graham Arms Inn last night which was followed by a few beers in the company of good natured locals. After a good nights sleep and a good breakfast in the morning we had stocked up for the day at a local shop near the Graham Arms Inn and set off walking out of town with our coats stowed in our backpacks. In 35 days of walking this was the first time I had done that. What not was there to smile about. We rambled along the traffic free B road which led to nowhere and soon came to an impressive church. 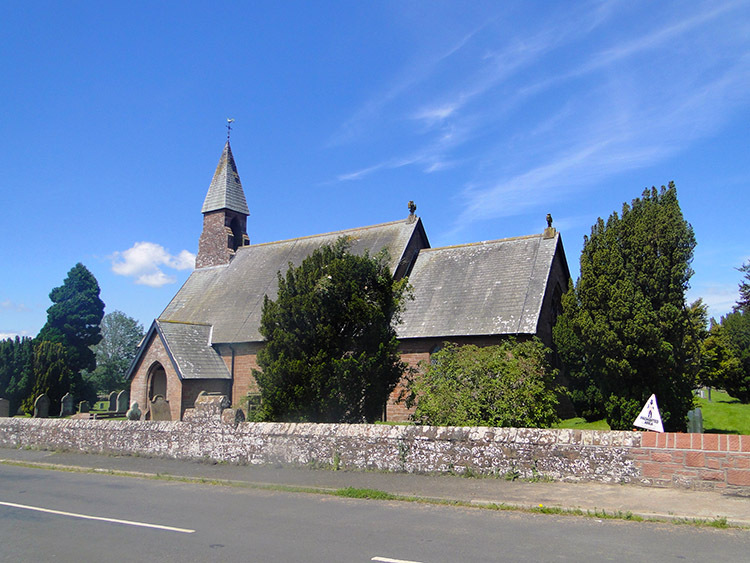 We took a good look as we passed St Michael and All Angels Church and carried on walking to a point on my map called the Fauld. We heard a Bull grunting in a field to our right as we walked by. 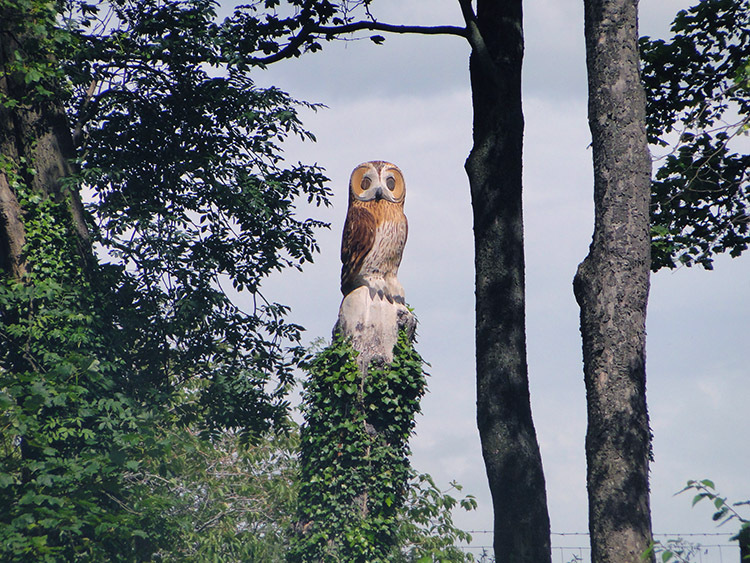 The bank was raised to the field and a thick high hedge stood on the bank. We didn't venture to try getting a look at the beast. The noise of him was enough to get the picture. We continued walking on the road to the Fauld and while doing so we enjoyed our first tantalising views of the English Lake District. It was a gorgeous sight. 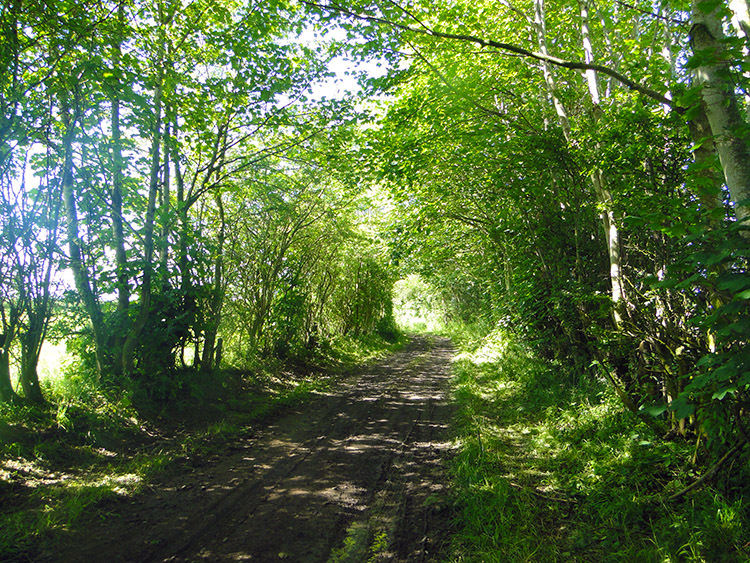 We came to the Fauld and turned right from the road to follow an unmade track down a tree and shrub lined avenue to Burnfoot. We needed to follow this route to reach the Cumbria Coastal Way which I had planned to follow into Carlisle. 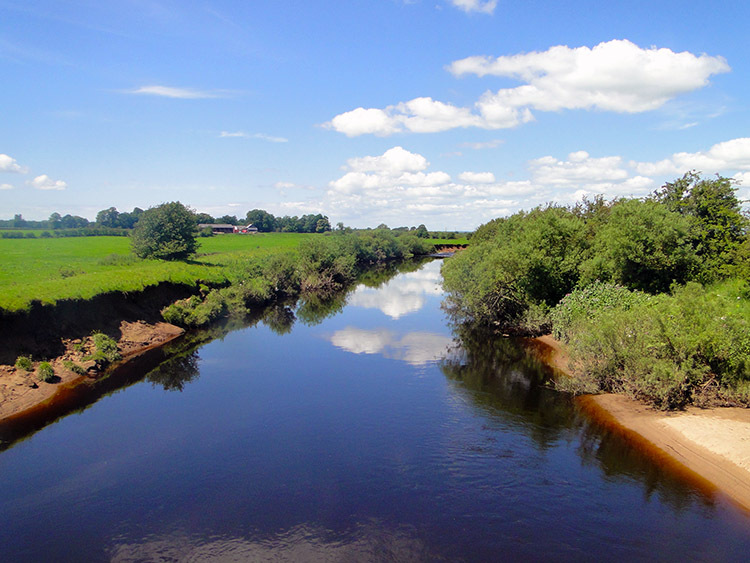 An alternative had been to take a more direct route inland which followed the course of a disused railway to the south side of the River Lyne. In hindsight I wished we had done so because we ended up on that route anyway. What follows is how it happened. After passing Burnfoot we continued on the lane to reach a spot on the map called Horse Pool. All we had to do was cross the River Lyne here. It did have the green dashed public right of way going straight across so I presumed there would be a ford to allow a river crossing. Not a chance, there was no ford and the river was too deep and too wide to cross. Tantalisingly a few yards on the other side of the river was the Cumbria Coastal Path. 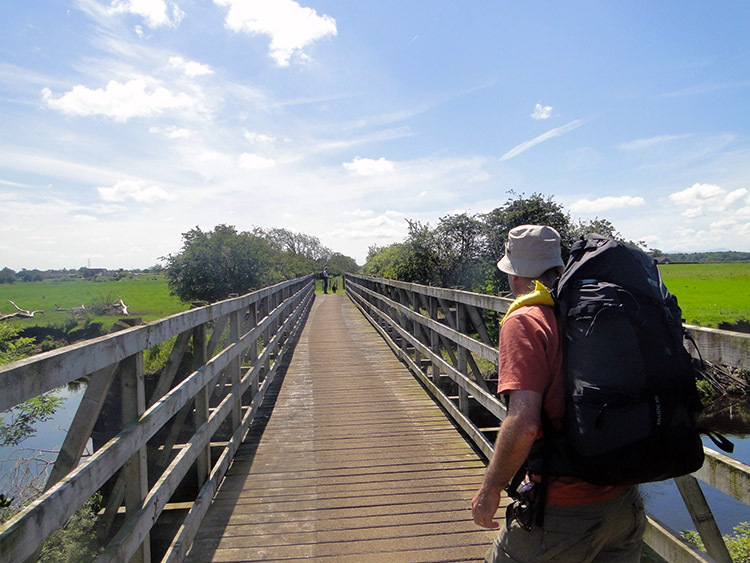 We checked out the map and found a footbridge marked just a couple of fields distant to the east. We could cross it and track back. We walked across the fields to the bridge but could not find it. We walked up and down the bank of the river looking again and again. Still no footbridge. Cursing our luck I then noticed a couple of wooded palings hanging from the far bank into the water. All that was left of a footbridge. It must have collapsed years ago. We were crestfallen. 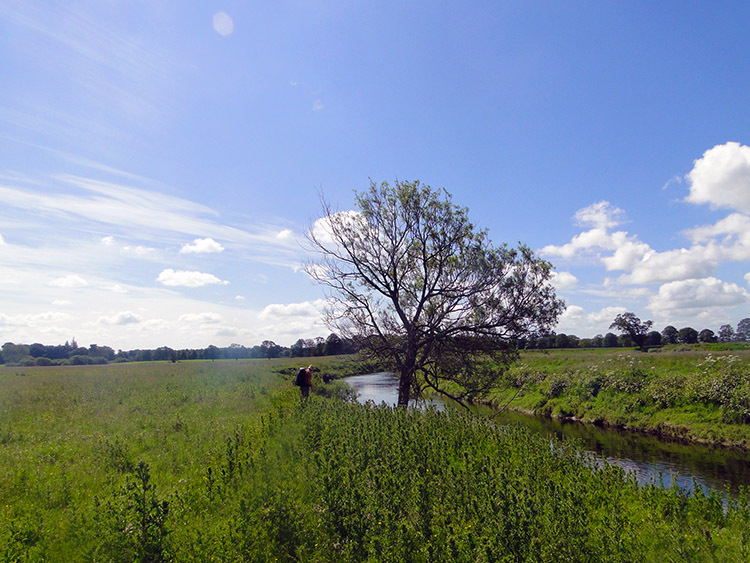 We had no choice left but to track along the River Lyne upstream to the next point on the map where a bridge was shown. This bridge was on the alternative route I had considered. We ended up at the bridge a good half hour later and we were all sweaty from the crossing of Flea ridden fields in hot balmy weather. We had walked over two miles more than we had needed to when we crossed the bridge over the River Lyne but at least we were now across our personal water barrier. As we crossed the bridge we met a lady out walking her dog. We asked about the footbridge downstream which we had intended to use. "It fell into the river about five years ago. Nobody has bothered to repair it since". I thought to myself that in all probability nobody missed it. On asking her further about how to go about our next mile or so of walking she said "Not long ago you could have followed the line of this disused railway for another mile but now a traveller has bought up all the land and dumped caravans, cars and other tosh on it. And he has fenced it off". She added "Follow the road which runs parallel to the disused line all the way to Newtown of Rockcliffe". So after saying goodbye to the informative lady we did. 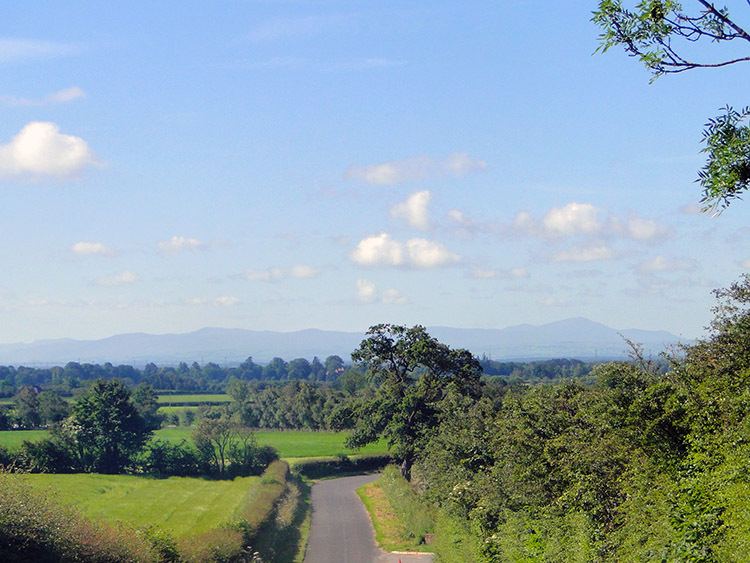 The walk along the road to Newtown of Rockcliffe was a good one with high hedgerows and trees on either side shielding us at times from the incessant midday sun. We arrived in Newtown of Rockcliffe to find it quiet and still. 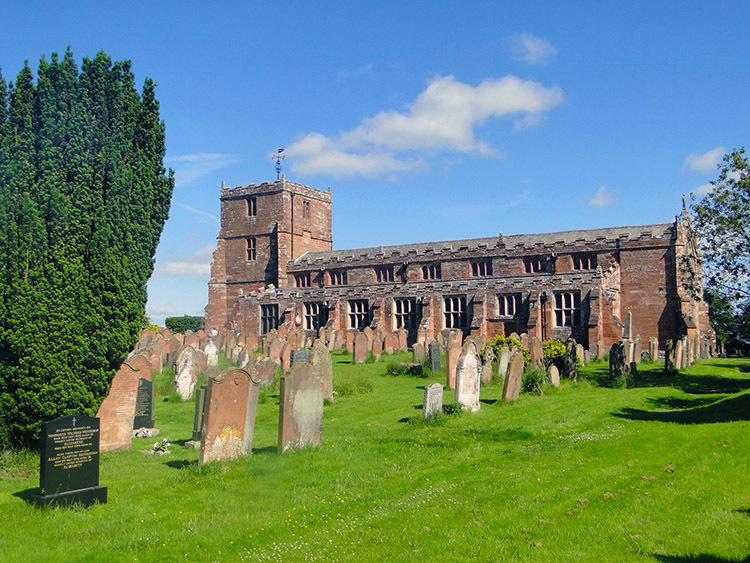 A road sign in the centre of the village told us our destination of Carlisle was four miles via Blackford or almost five miles via Rockcliffe. The longer distance option would have got us back to the Cumbria Coastal Way but enough was enough after the trial and error of earlier. We chose to take the more direct route. From Newton of Rockcliffe village we came to the school which was festooned on the exterior with children's artwork. Soon after the school we came to the church and a few steps beyond we came to the roar of traffic on the A7. 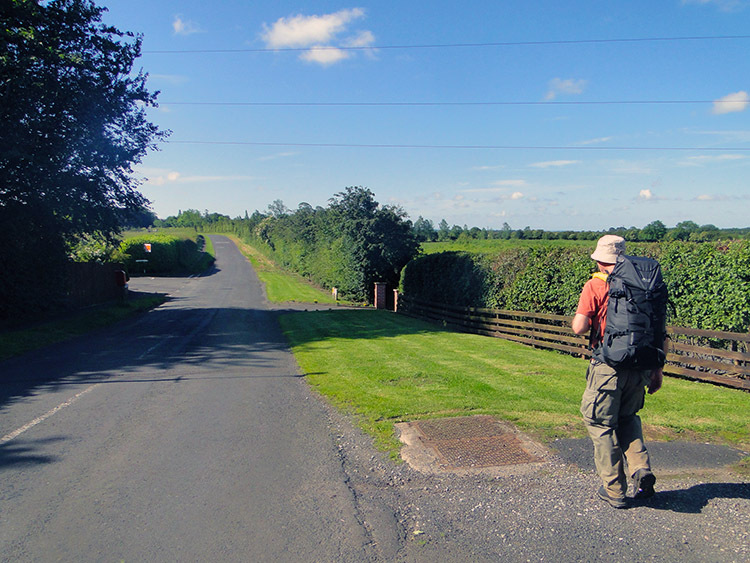 Relieved to find a good footpath running alongside the road we walked along it towards Carlisle. What followed was forgettable and I strike it from memory. The map tells me we walked for one and a half miles south beside the A7 until we reached the A7/ M6 roundabout which gave us access to the city of Carlisle. On we go, do not look back. 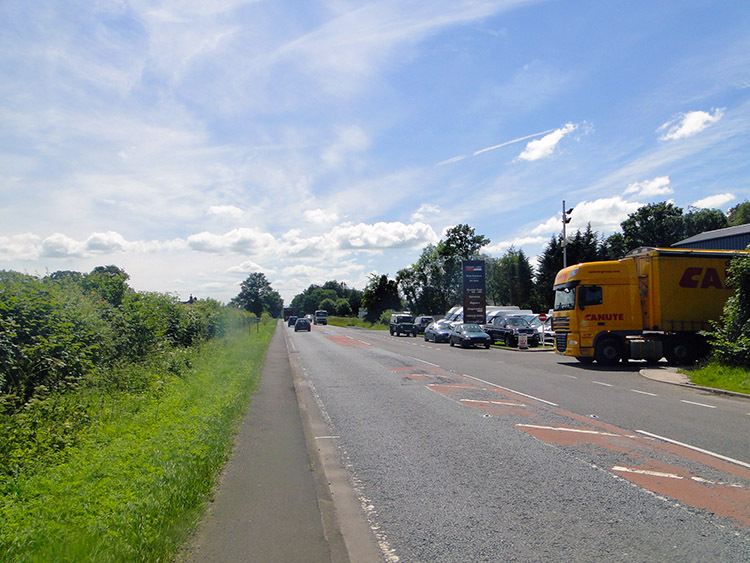 We continued to follow the course of the A7 into Carlisle. The road was becalmed now though by the urbanisation on either side of it. Parts of the road were dual carriageway and parts of the road not but the flow of traffic was kept to a steady pace by road junctions, crossroads, bus lanes, traffic calming measures and pedestrian crossings. 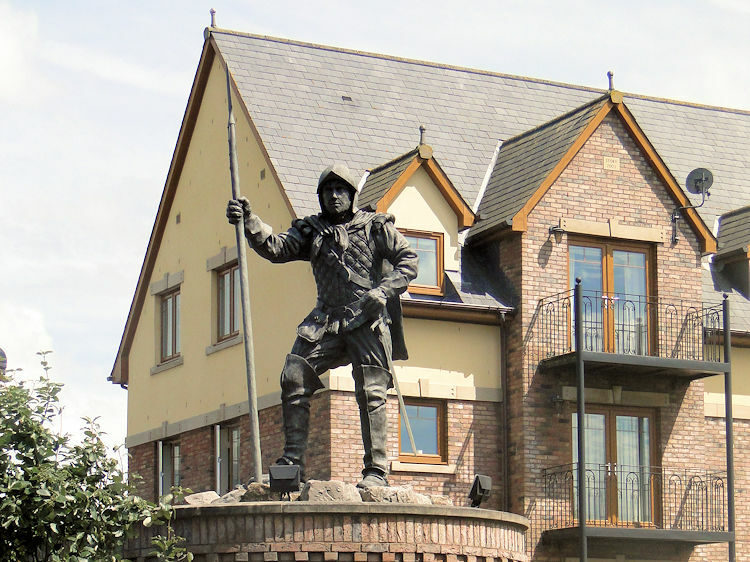 Of particular interest to me as we walked was a bronze statue dedicated to Border Reivers stood on an elevated plinth beside the A7. Border Reivers were once the scourge of urban inhabitants, all thieves, stock rustlers and robbers. Now they are romantically immortalised and celebrated. After the statue we came to hotel with about a dozen foreign flags flying outside. Between us Steve and I identified them all. With the interludes mentioned and foot stomping of tarmac footpath between we eventually came to Bitts Park. 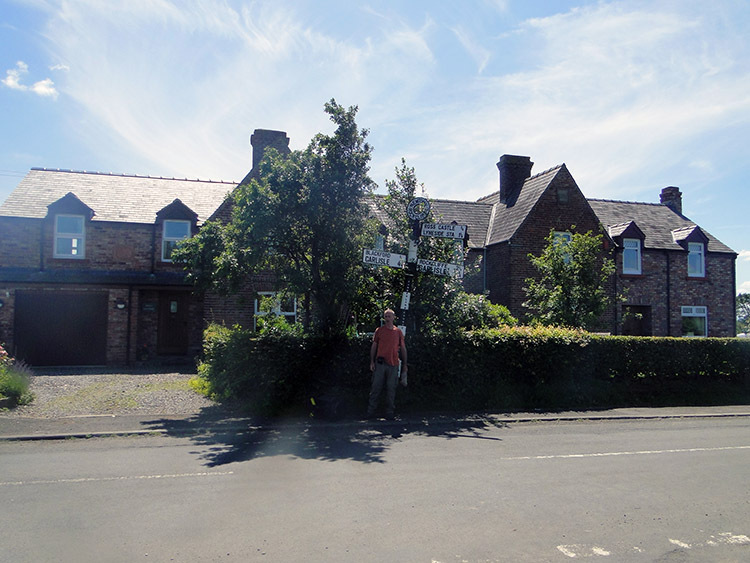 Steve and I crossed the River Eden by the A7 road bridge and walked into Bitts Park with an eagerness one has when reaching lovely landscaped gardens in peaceful surroundings after a trudge of hours beside a noisy trafficked road. Now I knew such roads were behind me for a long long time. 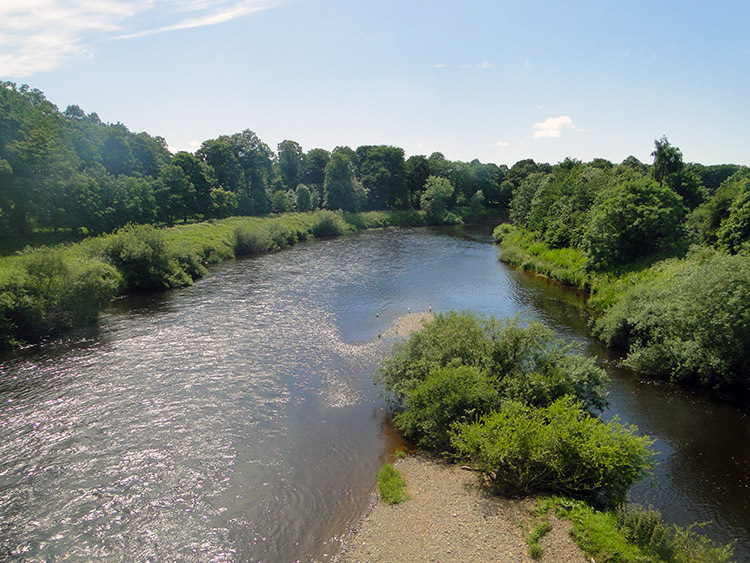 The linking of point A at Over Phawhope and point B in Carlisle had been achieved. There was much to look forward to walking through northern England. 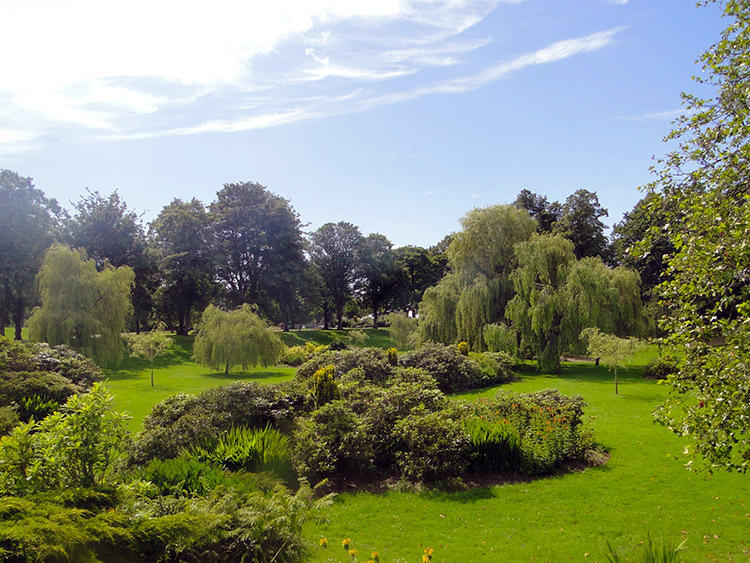 Bitts Park was a good place to start that enjoyment, it being a pretty and well managed park with the backdrop of Carlisle Castle adding grandeur to the setting. After our delightful walk through Bitts Park we headed for our overnight digs at the Travelodge. 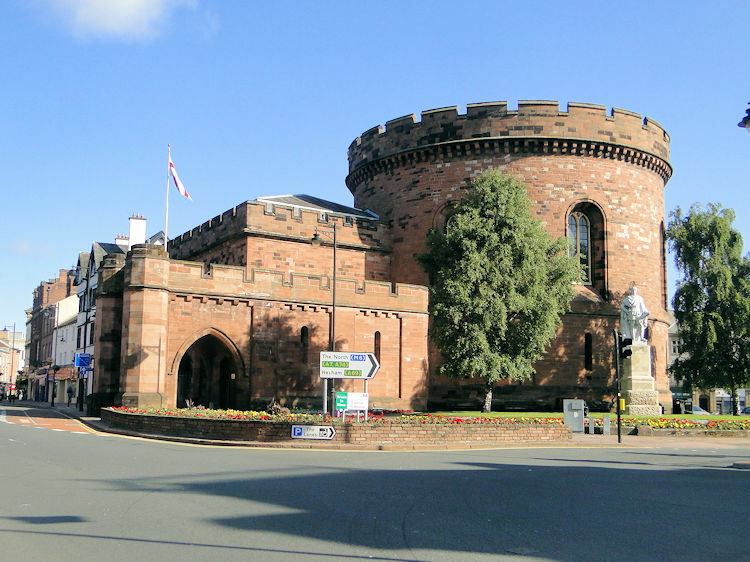 We passed a statue of Queen Victoria and then we passed Carlisle Castle. 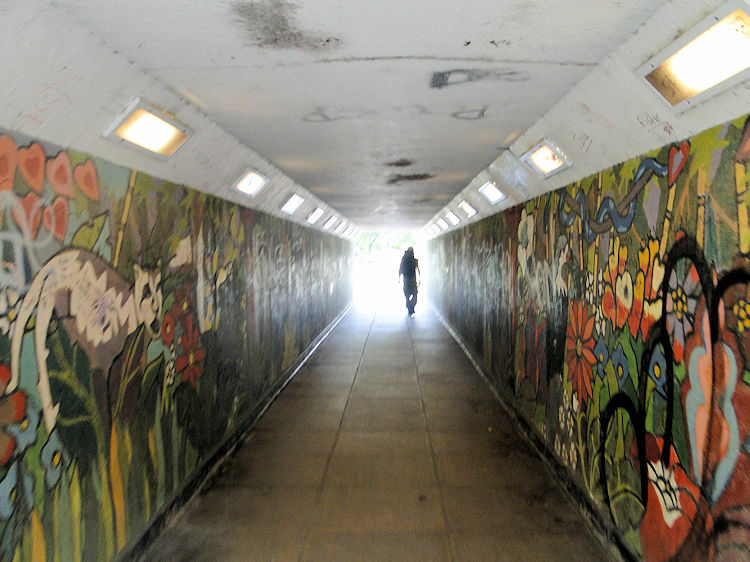 We continued into the heart of the city under roads by way of some mural covered underpasses, via the impressive Courts buildings and via the railway station. Inner cities are not my cup of tea to walk but Carlisle is better than most. We soon found our base for the night. As we saw the night through I thought about what lay in wait. "Can't wait for tomorrow" I mused. "Bring on the lakes".